The types of surgeries involving robots are increasing. The most recent examples are cochlear and dental implants. This comes as engineers slowly move ahead to make the robots smarter and more able to think on their own. Cincinnati's Bethesda North Hospital does a lot of robotic surgeries, with a third of the operating rooms equipped with them. 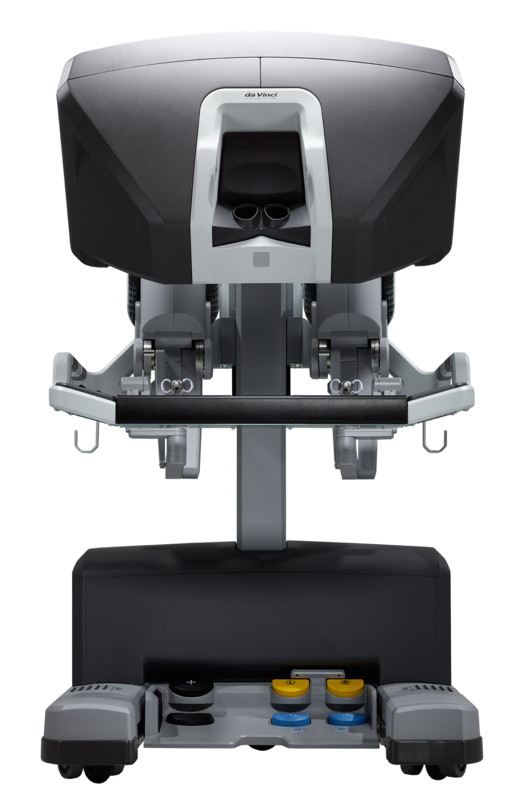 The da Vinci XI is the most advanced robot Intutive makes and it is based on NASA technology. Credit Used with permission / Intuitive Surgical, Inc. Surgeon Benjamin Niver sits at a console controlling everything the robot does in a surgery to remove a kidney. He manipulates the machine’s arms and the robot mimics the doctor’s motions with ten times magnification. Small movements on the outside can become micro motions on the inside. Robotic Coordinator John Bires points out the da Vinci XI and the wall-mounted 40-inch monitor that we’re watching. Other doctors, nurses and surgical techs are working in this particular operating room, driving home Bires’ point that the robot isn’t replacing anybody. “We still need an assistant. We still need a surgical tech. Still need a surgeon. Still need an anesthesiologist, still need a nurse. All the people still have jobs. We just can do the job better with a robot. Bethesda North and its doctors are embracing robotic surgery and the $1.7 million da Vinci robot, according to President of the Bethesda Foundation Andy Swallow. Robotic assisted surgery goes beyond urology. Dr. Mark Delworth, the director of robotic surgery for Tri-Health, says the machines are being used for heart bypass, gynecology, and general surgery. The actual incision is very small--one and a half inches by one inch. The robot magnifies and projects the image in 3D to the surgeon who is controlling all movements. Dr. Delworth says the future is better imaging where doctors can query the robot as to where a tumor is and that area will light up. He sees other improvements coming. Wired.com reports the first robot-assisted cochlear implant in a clinical trial, doesn’t just enhance a surgeon’s dexterity, but gives surgeons superpowers, allowing them to feel through tissue by measuring how the drill bit’s force changes against bone or flesh. DESĪN, with offices in Dayton and Michigan, is introducing Obi™ the robotic dining companion. For inventor Jon Dekar it was a very personal decade long project. While in high school volunteering, he watched the disabled struggle as well as his own grandfather who slowly lost the ability to feed himself. "You know, it's one of life's basic needs and it's also a fundamental freedom. It's a very intimate personal experience." How long before a robot does your job? It may not be too long before your co-worker is a robot. That robot might eventually take your job, according to this video.